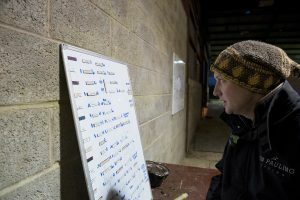 Hearing Ben Pauling talk seriously about one day becoming champion seems somewhat at odds with the informal atmosphere of a frosty morning at his Gloucestershire stables. 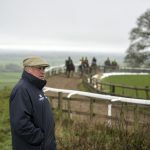 Bourton Hill Farm is not a place of forelock tugging or stony silences, with the trainer not immune to some gentle ribbing about the next time he might get back in the saddle himself. Pauling even fetches a jacket from a rider who has worn too many layers, certainly not an action one would have expected from Captains Price or Forster. At 33, he is still young to be an employer of 16 staff and fostering happy and trusting relationships is key to his methodology. The results halfway through Pauling’s fourth season with a licence underscore the profile of a man going places. His string has already quadrupled in size to 60 and should reach 75 next year, with last season’s peak of 26 winners certain to be bettered despite a slow start. “Ultimately my aim is to train as many nice horses as I possibly can,” he says. “Yes, it’s a numbers game in the fact you need to have a certain number to find a lot of nice ones, but I’d be a very happy man training 80 nice horses, a lot happier than training 140 that weren’t so good. 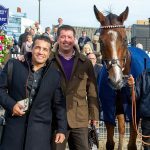 “It’s always pie in the sky but everyone wants to be at the top of their game at some point and I’d like to think if we were in this game for the next 30, 40 years that at some point we might be very much knocking on the door of trainers’ championships. Pauling has been forced to survive through the winter without the smartest horse in his own artillery. Barters Hill, one of his first purchases in 2013 and owned by a syndicate of family and close friends, won the Grand National meeting bumper and the Challow Hurdle and went all the way to Cheltenham with an unbeaten record. Big things were expected only for the durable gelding to slip a tendon on his novice chase debut. Reflecting on that wretched November afternoon back at Cheltenham, he says: “In hindsight it was definitely one of the worst days we’ve had. We’ve been unfortunate to lose horses, like everyone, and they’re always the toughest, but actually the day it happened I was remarkably calm. “I was so worried about him going over fences first time because he’s such a big part of the yard, even though they are racehorses and they have to go and get on with life. Suddenly to see him pull up so soon I just thought, ‘There we are, there’s not much we can do about that now’. It could have all turned out differently. While at Bloxham School, a teenage Pauling designed and built ‘Irreguwrap’, a device which could bind hay bales without needing a fork-lift. It saw him crowned Young Engineer for Britain 2002 and offered an appearance on BBC’s Working Lunch, where he amused presenter Adrian Chiles by telling him he planned to go into the property world. Pauling was offered a number of university places and took a land management degree at Reading, subsidised by organising student nights in the town. He was so adept at drawing a sporty crowd to one bar that he was poached by another. 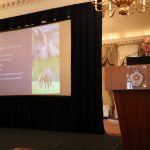 After a stint working for bloodstock agent David Redvers, he took his masters’ at the Nicky Henderson training academy, following a long line including his own brother-in-law Charlie Longsdon. The period as pupil assistant coincided with Gold Cup and Champion Hurdle wins, hastening Henderson’s re-emergence as champion. Patience was the greatest virtue he learned at Seven Barrows and he largely follows the same tried-and-tested rules allied with some “thinking outside the box”. Bourton Hill, just south of the summer tourist hotspot of Bourton-on-the-Water, was being vacated by Shaun Lycett and Pauling took on the lease. A six and a half-furlong carpet gallop, rising in intervals, is supplemented by a polytrack, equine spa and a large and well-used outdoor school. It is country he knows well, with the family home only a few miles away in Chadlington. His father Howard, an arable farmer, trained pointers and Pauling defied his 6’3’’ frame to ride winners himself. “I always was very driven by horses, the mechanics and training and wellbeing,” he says. “I’m more of a horseman than a jockey, which I think stands you in good stead. The striking aspect of the stable is how many unknown quantities it contains. Pauling bought 15 more three-year-old stores and these are the months in which he and the owners can dream. “If I look through the string, there’s a stamp,” he says. “There are a couple that are smaller but I wouldn’t be into buying a racy, light type; I always buy a strong three-year-old that is ultimately going to be a chaser. “My view is that if you keep building from the bottom they are going to be coming through in spades. If you think about what a bumper winner is worth now, if you win a nice one you’re talking 150, 200 grand all day long. “I have certain sires I like and certain sires I don’t, and that’ll be my starting point. As long as it has a nice enough page that you can see success in, nine out of ten times the most important thing is the individual. “If it has a leg in each corner, it’s not back of the knee, it’s got a strong hock, it’s in proportion to its back and up to its neck, if it fills the eye then I can see a future for it. While those fledgling racehorses will not be ready for Cheltenham, others will. Pauling has unfinished business with the Festival as he drew a blank in 2016 with what looked a strong initial challenge. 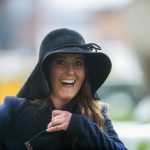 “Two of our best chances, A Hare Breath and Cyrius Moriviere, missed out in the County Hurdle, Silvergrove and Local Show ran blinders, and Barters Hill was beaten four lengths in the Albert Bartlett. “We left feeling a bit sore really, because we had some genuine chances and just hit the bar a couple of times, but it just shows how hard it is to win a race at the Festival. It will happen and it’ll be great when it does. A fascinating development has been the patronage of John Ferguson, who relinquished his licence in order to concentrate on his role with Sheikh Mohammed. Ferguson entrusted Pauling with a trio from his Bloomfields business and High Bridge has looked a Supreme Novices’ Hurdle candidate in two starts for him to date. The arrivals did not come in only equine form. Ferguson’s son, Alex, is now Pauling’s amateur, and Camilla Cotton joined as secretary. “I didn’t really know John that well other than to say hi to, and it’s only this season we’ve come to work a lot more closely,” Pauling explains. Others happy to allow Pauling to plough his own furrow include Paul and Clare Rooney, Lord Vestey and recent recruits Middleham Park Racing. 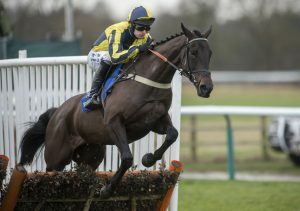 It is hard to stand out among young trainers, with Dan Skelton and Harry Fry also enjoying a conspicuous rise. Pauling, whose success as a university social fixer seems to have proved a transferable skill, is a gregarious, cheerful multi-tasker. But with a one-year-old daughter and his wife, Sophie, expecting again, as well as a house renovation project on the go, the party animal must be tethered. “It has to be fun, both working here and being an owner,” he says. “It’s time spent in the company of the trainer, enjoying the experience you have, getting something for your money. That’s something we’ve definitely tried to follow on with.